In 2016 we were very lucky to have the gorgeous Kellyanne as part of our model team. Her beauty and sunny smile stood out amongst any crowd and her husband Jamie and 2 year old daughter Freya were often there at rehersals egging her on. 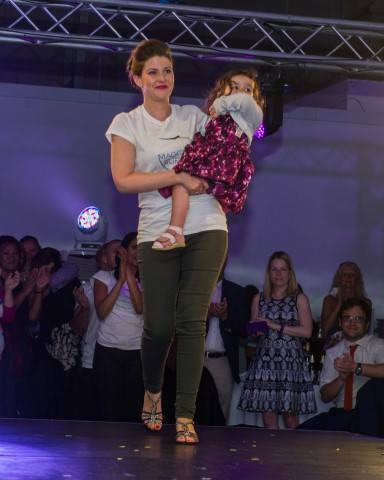 Kellyanne was one of the proudest mums ever and she suggested to us that we should think about having a parent and child catwalk next time and that she would definitely be back with her lovely Freya. Last August tragedy struck and we lost our beautiful Kellyanne. We were devestated beyond words. Once she recovered from the surgery, the chemotherapy began, 12 sessions over 6 months which ended up being over 9 months including numerous occasions where we had to rush to A&E. When the chemo finally finished, we thought all the worry was over although she had to have more scans etc to explore reversing the stoma. We were looking forward to getting on with our lives. 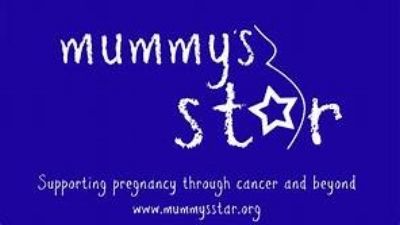 Unfortunately, the scan revealed that the tumour had spread to her ovaries so further major surgery would be required, but again the long- term outlook still seemed positive. It was at this point we were told we couldn't have any more children. This was a real blow, as it was something that had been keeping us going - the thought of adding to our family. We made plans, put our house on the market and put an offer in on a new house nearer friends and family and decided that we could potentially still grow our family by adopting. Everything was progressing well - we were even booking holidays! Then Kel’s health once again started to worryingly deteriorate and on the way back from a holiday in Crete I had to rush her to hospital as she was in such pain. Still oblivious to the situation, my heart sank as the doctors walked over to Kel’s bed and pulled the curtain around to cover us. I remember starting to argue with them asking them to stop focusing on pain relief and sort out the cancer. The doctor who was clearly upset told us that it wasn't possible and Kel only had around 3 years left to live. After dealing with the shock and coming to terms with what we had been told, we agreed to keep living as we had been, to get the most out of every day and enjoy every minute we could with our daughter Freya. Kel was the kindest and strongest person I have ever known. She was my family and we made the most beautiful little girl together. I promised Kel that I would give Freya the life we planned for her and that I wouldn't let this tragic situation ruin Freya's childhood. 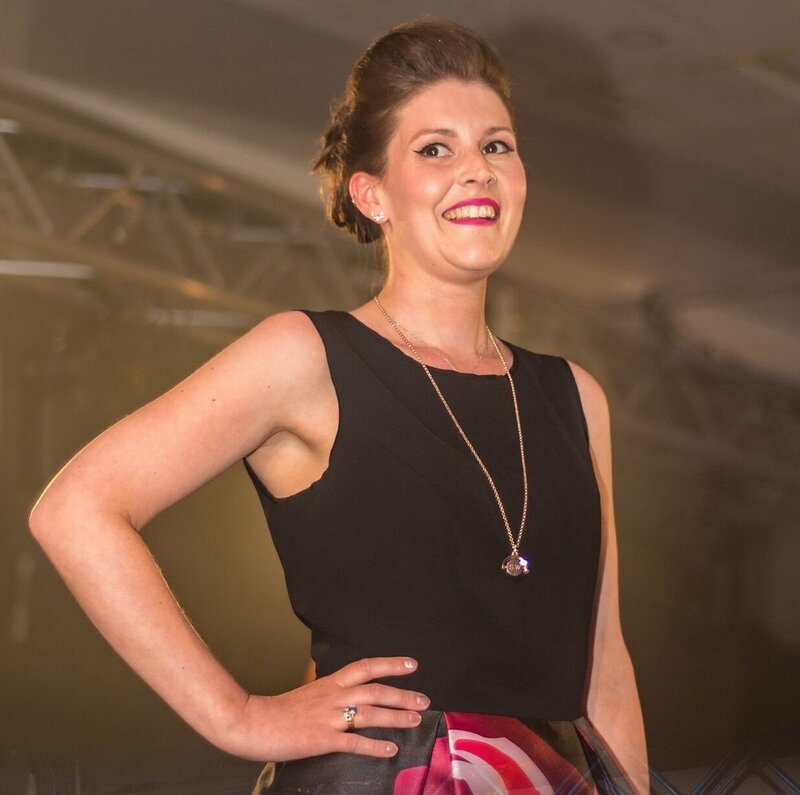 Kel was one of the stars of the Maggie's on the Runway 2016 and it will be one of the proudest moments of my life when I walk with my daughter down the Runway and share such a special moment where she can follow in her Mummy's footsteps. Life is to short to let the dark times dominate your life. Freya and I are going to live our lives with a positive outlook and get the very most we can from it. I'm not sure what happens after our lives are over but I know what Kel wanted from me and that is to make sure Freya has the best life I can possibly give her. I can't wait to strut down the catwalk with her and we are already practising our walks and our blue steel poses."